Product prices and availability are accurate as of 2019-04-20 16:30:33 UTC and are subject to change. Any price and availability information displayed on http://www.amazon.com/ at the time of purchase will apply to the purchase of this product. Author Bookstand is proud to offer Reluctant Adversaries by Bookstand Publishing. Bookstand Publishing offers books by the best indie authors throughout North America and the world. Bookstand Publishing is dedicated to offering original content to a broad audience and promoting great authors, literacy, and freedom of expression. 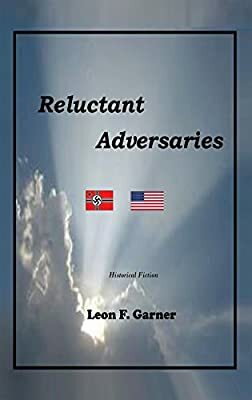 Reluctant Adversaries has generated a lot of interest and excitement and we think it would be an excellent addition to your library. Within the pages of this small book, I have attempted to introduce and bring to life the stories of two common families caught up in a terrible conflict and thrust at each other as reluctant adversaries of war. The Irish American family the O'Reillys, and, the German Bavarian family the Von Steubens. In an attempt to portray the indigenous background of each, I introduce them as common people from two diverse countries with similar desires for a peaceful existence. They are common people, who through unfortunate circumstances by no fault of their own find themselves thrust into a deadly war imposed upon them by psychotic dictators. Many of the historical elements and time-lines in this book are accurate; however, this is a novella, a story of historical fiction so, rather than bogging the reader down with historically accurate references and footnotes, I prefer to leave serious research to the qualified historical scholars and academics. This is meant to be a story for the reader to experience and enjoy.